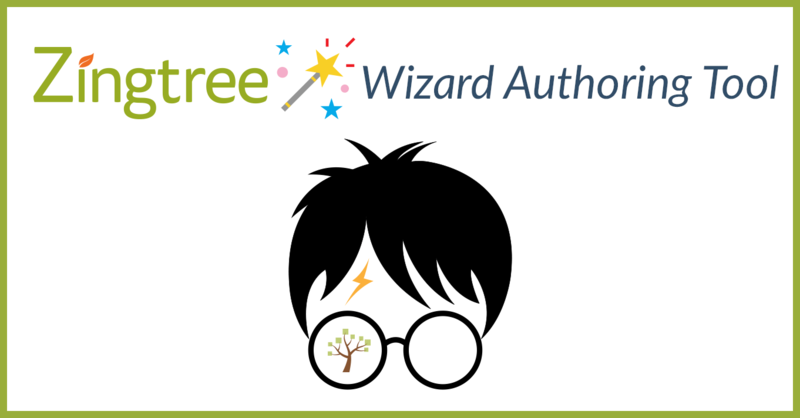 With the Wizard, you’ll be prompted to fill out easy forms in order to generate your tree, providing the questions and answers your end-users will see. It’s one of the most straight-forward ways to generate a Zingtree! 1. Sign in and click My Trees > Create New Tree. 2. Select the option to fill out simple forms, and then give your tree a name and description. 3. Once in the Wizard, fill out some body text to get started with your tree. 4. 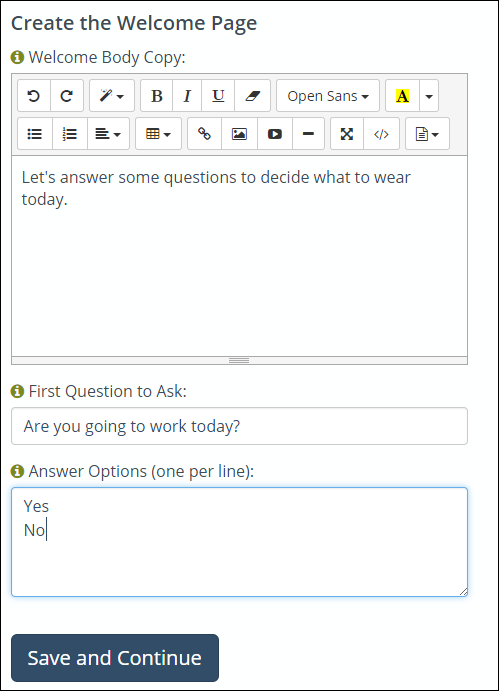 Write out your first question, then fill the Answer Options section with every answer you’d like provided. You can see a live preview appear to the right of the screen as you move forward. 5. Continue to write out the appropriate questions, answers and final path solutions until every connection in your decision tree is made. 6. 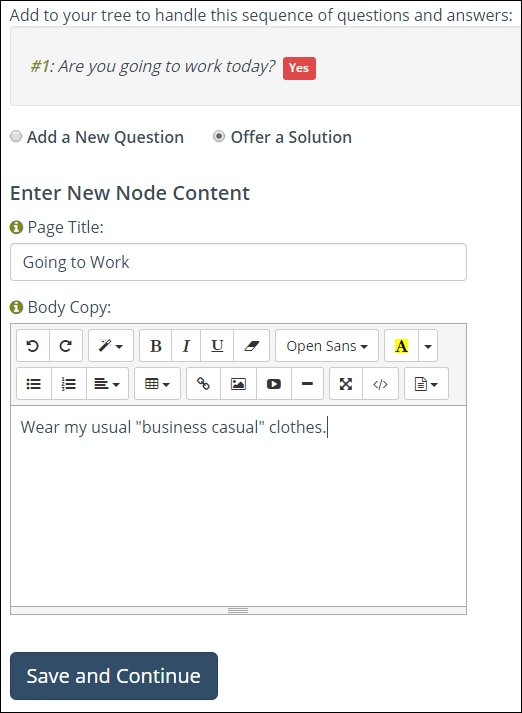 When you’re finished making the nodes and connections between them, you can take a full look at your finished decision tree in Overview. 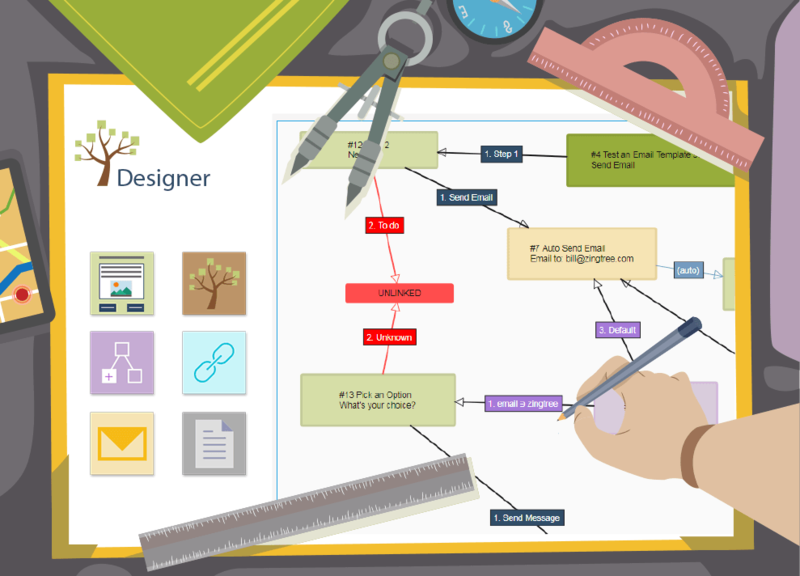 To view more ways of building your decision trees, check out our Zingtree Design Tutorials.